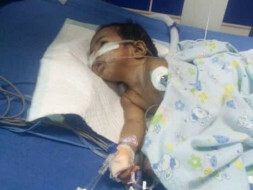 Friends, this 3-months baby is suffering from lung disease and is unable to drink milk from past 2-months. Baby's inhaling valve and food taking valve is interconnected and because of this baby has got lung infection. Doctors have referred for surgery and ventilator treatment which will cost around 3 lakhs. This baby's parents cannot afford such a huge amount. Kindly help them friends. 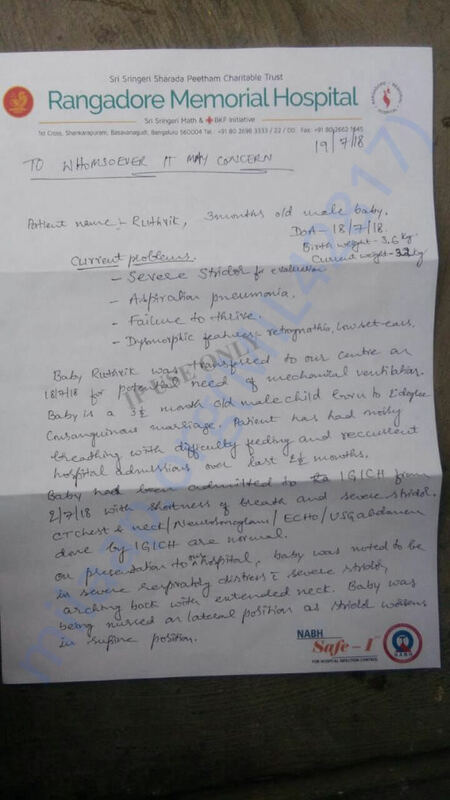 This is the medical report given by doctors.